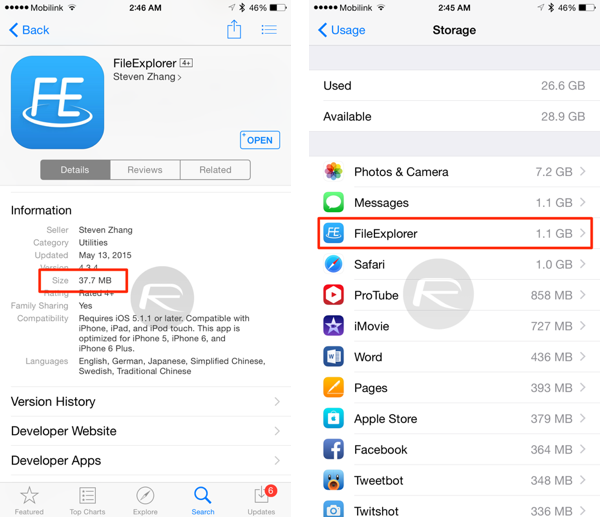 Here are 10 best tips on how to free storage space on your iPhone or iPad, useful for those using 16GB iOS devices. If you haven’t cleared Safari data in a while, clearing it can, in some cases, help free 1GB+ of storage space on your iPhone or iPad. 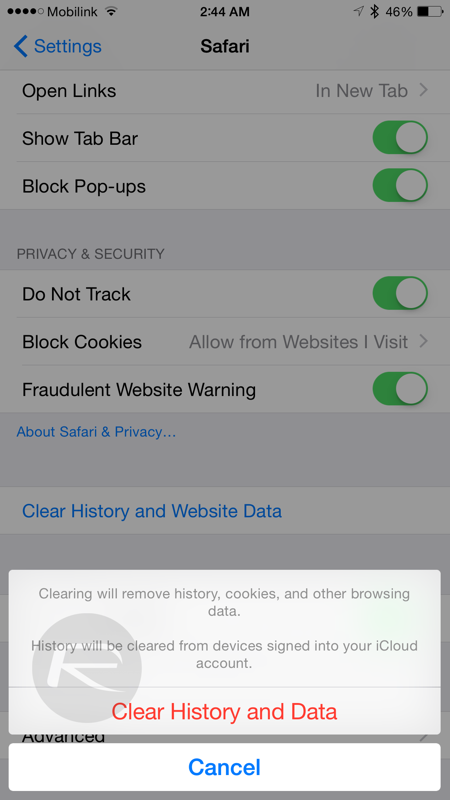 To clear it, navigate to Settings -> Safari -> Clear History and Website Data -> Clear History and Data. 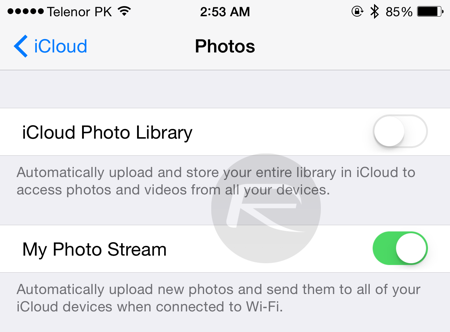 Photo Stream service automatically saves last 1000 photos from your Camera Roll and then pushes them to other iCloud-enabled devices. In some cases Photo Stream can take up some local space on your device too. 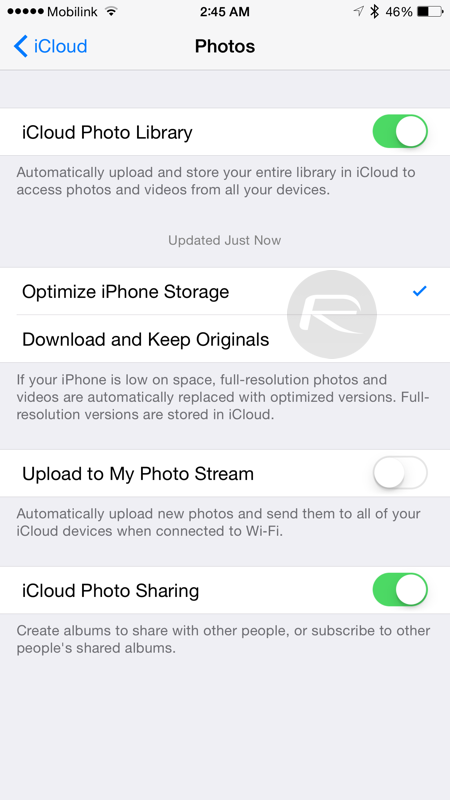 You can turn it off to save some valuable storage space from: Settings -> iCloud -> Photos -> My Photo Stream. Apple’s new photo service iCloud Photo Library saves everything in your Camera Roll to iCloud and then can optionally let you keep original version or optimized version of your photos on the device, helping you save valuable storage space on the device. Turn on iCloud Photo Library to move all your photos to the cloud by navigating to Settings -> iCloud -> Photos -> iCloud Photo Library. It is important to note that each account only gets about 5GB of free space on iCloud after that you will have to upgrade your iCloud storage plan. 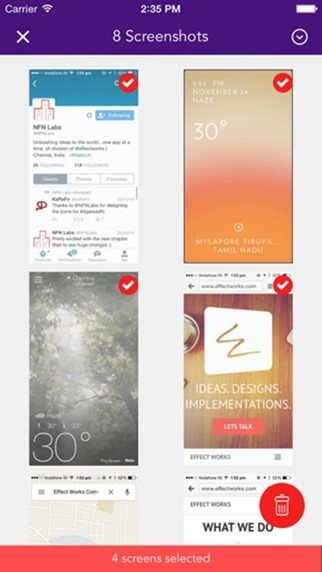 Apps some time cache files to help them load content faster. The negative side effect of this is that these cache files can take valuable storage on the device. Navigate to Settings -> General -> Usage -> Manage Storage and see the apps which are unusually using a lot more space than their original size shown on App Store. Deleting all such apps and then reinstalling them will help clear all the temporary and cache files being used by these apps. Apple allows direct streaming of all the music you have bought on iTunes from iCloud without actually having to download them on your device. 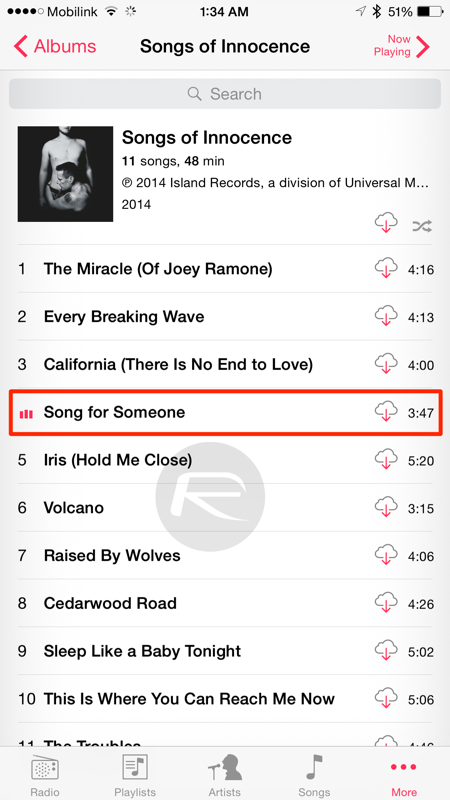 To stream music bought from iTunes via iCloud, you will need to first delete all the music stored locally. Once done, you will see all your music titles from iTunes showing up in Music app ready to stream via iCloud without downloading. Alternatively you can also switch to one of many subscription based music services like Spotify, Beats Music or Amazon Prime Music. Sharing a lot of photos and videos via iMessage can take a ton of storage space on your device. 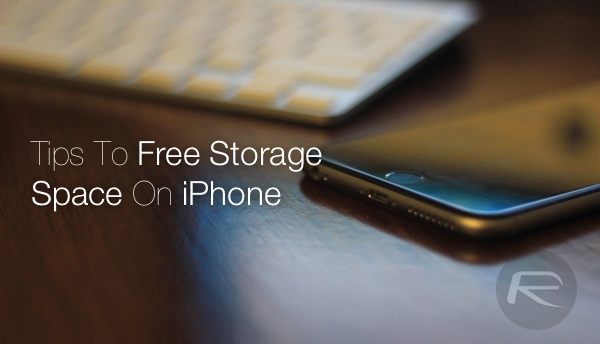 Deleting such photo/video-heavy threads can also help free valuable space on your iOS device. If you are on an early version of iOS and don’t worry about your jailbreak, it’s time to update to the latest as earlier versions of iOS 8.x are known to take away a lot of storage space from iOS devices. Apple has since fixed this problem in the latest versions. To update to latest version of iOS via OTA, head to Settings -> General -> Software Update and update form there. You can either do this manually or use an app like Screeny to automate this for you. For more on Screeny, check out: How To Easily Delete All Screenshots On iPhone To Quickly Free Up Space. You can also try to clear any other temporary files in system by using third-party programs such as PhoneClean or PhoneExpander. No jailbreak is required for this to work. Safari Reading List is a feature which saves webpages for reading later offline. While it is useful, it can take a lot of space away if you save a lot of links for offline reading. Occasionally clearing it can help save a lot of space. 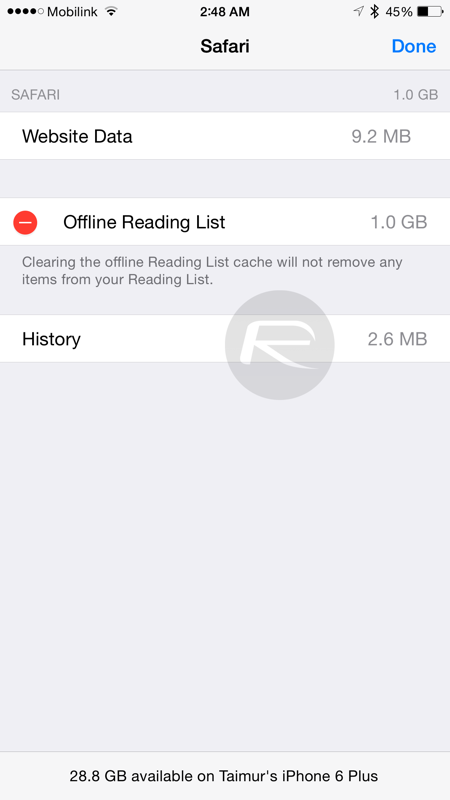 To delete the entire list, head to General -> Usage -> Manage Storage -> Safari and then delete Offline Reading List.